Bounty seen in 1988 at Sydney Harbor, Australia. 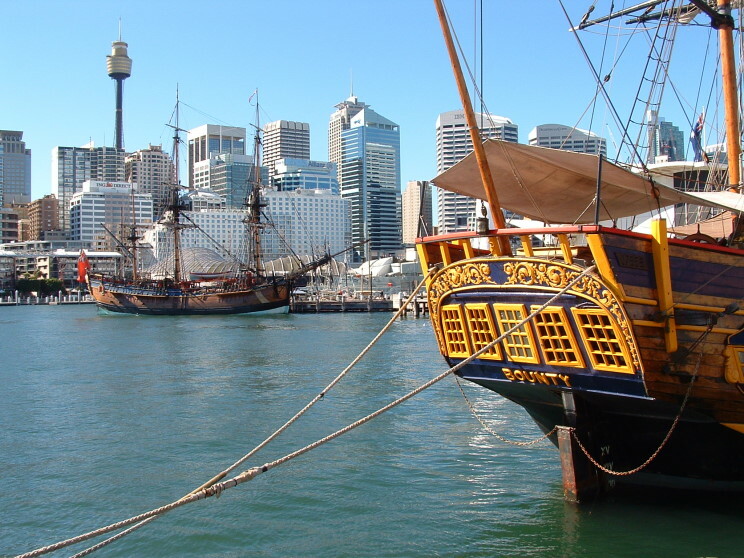 2006: Bounty at Sydney, Australia. 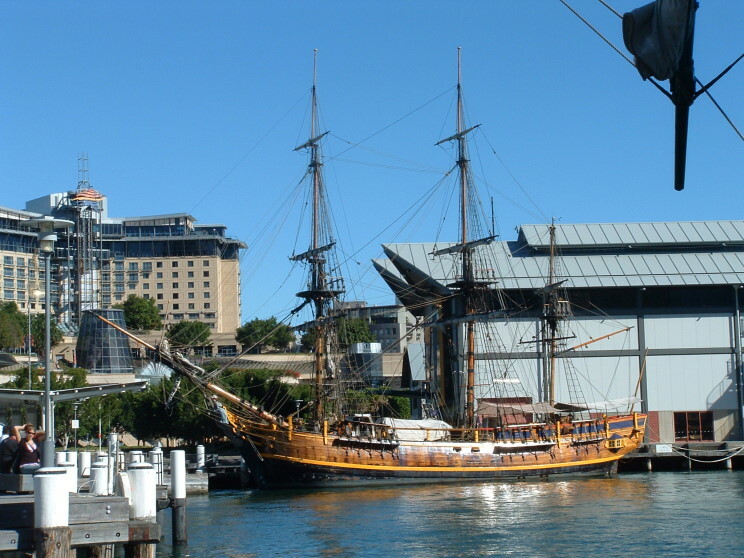 The stern of the Bounty and the Endeavour replica at Sydney, Australia.